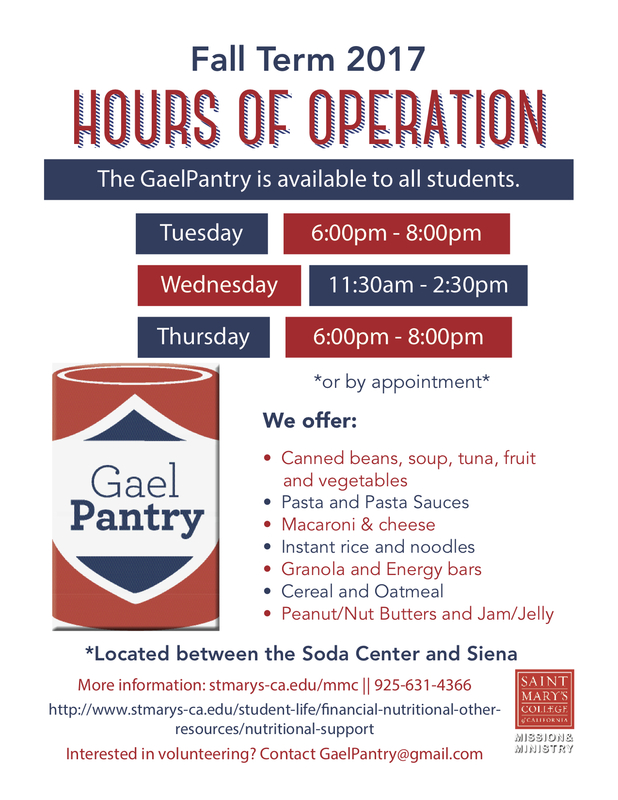 Welcome to the Mission and Ministry Center at Saint Mary’s College! 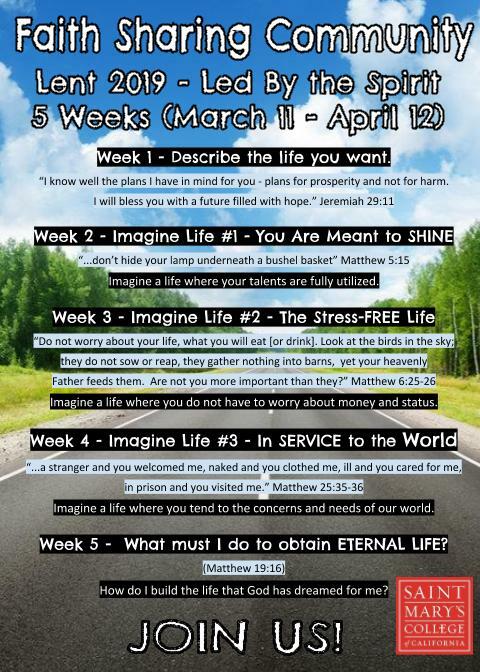 Come explore your faith with us today! The Center welcomes and serves students of ALL faith traditions who are seeking deeper understanding and expression of their faith and relationship with God. The core areas of the Mission and Ministry Center include: faith formation, Lasallian mission education, liturgy and prayer, justice education and immersions, two Living and Learning Communities (integrating faith, service and community), retreats, and developing student leaders as ministers. Saint Mary’s College of California invites you to join us in prayer this Lent. 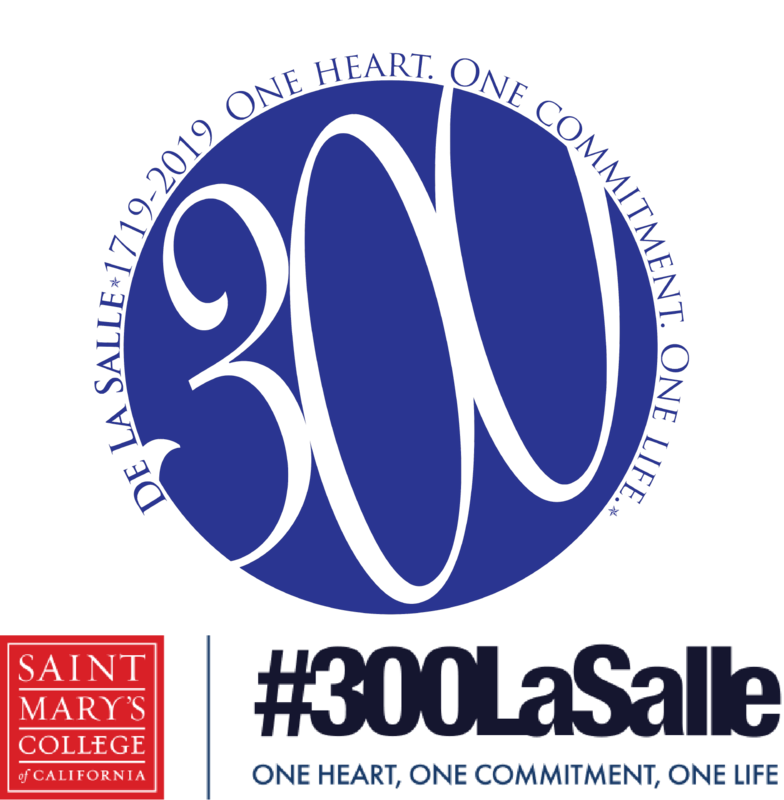 Members from our community (students, staff, faculty, Christian Brothers and alumni) have put together a collection of reflections about COMMITMENTS. 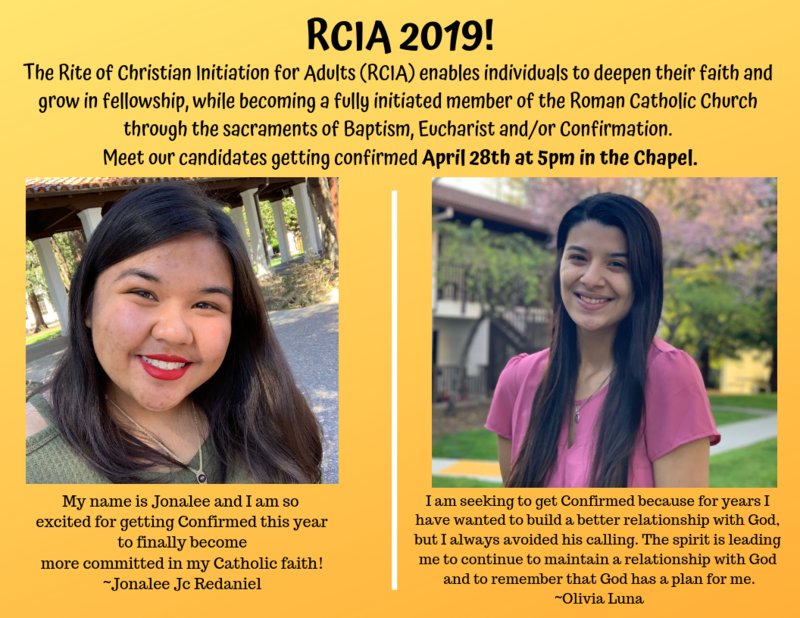 Committed to providing spaces and places where all can explore their faith and questions of human existence, as well as deepen their understanding of & relationship with God; and forming students as leaders in a complex world in great need of visible and radical witnesses of love and solidarity. 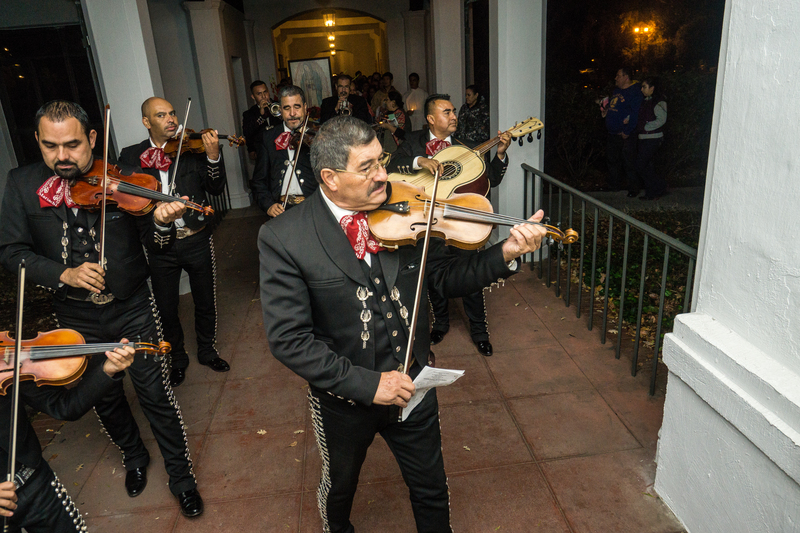 Our Saint Mary's community came together to honor Our Lady of Guadalupe in a week long celebration closed it off with mass and a fiesta! Watch a short video of the joy! 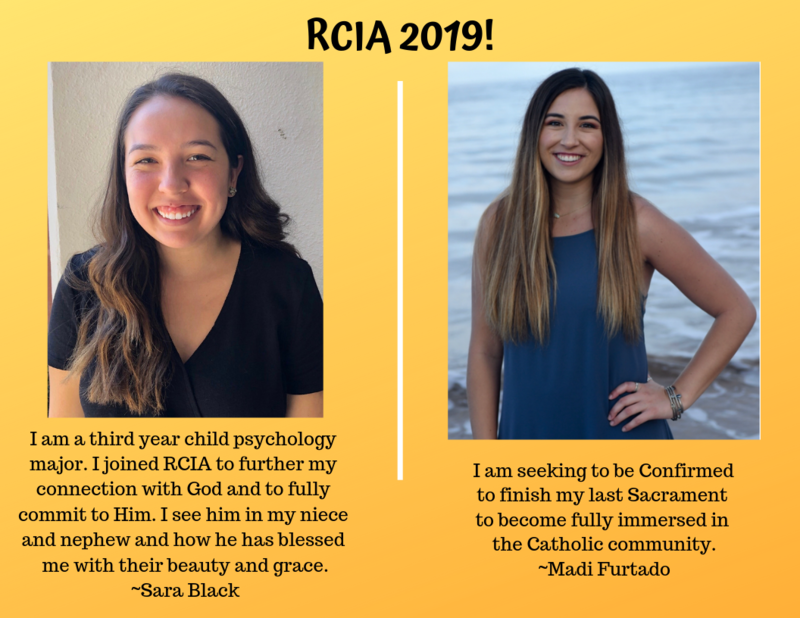 Learn about what it means to become Catholic and the RCIA process! Masses and Daily Prayers are open for all to participate in! In March, a group of Saint Mary's College students and staff attended a vigil sponsored by the Interfaith Movement for Human Integrity at the West County Detention Facility in Richmond. The monthly vigil is a time of prayer, music and advocacy for immigrant detainees, making a stand for the welcome, protection and the integrity of our communities, not incarceration and detention.